Good quality bargain bites are as scarce as hens teeth in Ireland and its true we have a reputation for being expensive for food. Some of it is deserved and some of it is not, I am talking about establishments like Gregan’s Castle in Ballyvaughan whose gourmet dinner menu is €65 plus wine etc. In fairness though, they use only the best ingredients cooked to the kind of perfection that justifies that price tag. But back down in the real world, there is certainly a demand for good quality food at a reasonable price. And at least in Galway (the rest of Ireland please take note) there are plenty of restaurants trying to redress this problem. 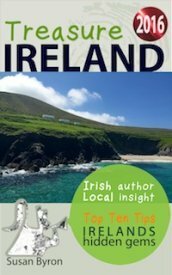 So where can you get a good sit-down meal for €10 or less in Galway? Well as I have mentioned before, try any of the Galway Pubs at lunchtime, most do a choice of main course for in and around that price. If you are fond of fish? 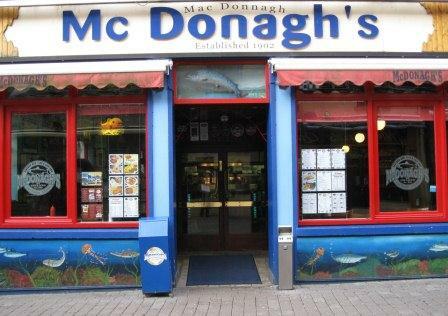 McDonaghs, Quay St. is the plaice to go (did I catch? you)okay I’ll stop (annoying myself now) Beloved of hungry students, McDonaghs is a first rate fish & chip shop that serves up fresh fried locally caught fish with real potato chips. Portions are generous, and you can sit down at communal benches to eat them with complimentary condiments. Further on up Quay St, is Riordans which do an all-day Irish Breakfast for about €7 which includes orange juice, tea or coffee and as much brown bread and toast as you can eat. Eddy Rockets, Eglinton St, is an Irish run chain with branches in Ennis and Limerick as well. They do great American Diner Style food, mine love their chicken wings and milk shakes which you can get with a milkshake or a drink for under €10. Spotlessly clean with great service, we often go to Eddie Rockets in the Wellpark centre before a movie in the Eye Cinema. 1	Boogaloo Burger Abbeygate St Lower, new gourmet burger bar doing traceable and tasty meaty treats. 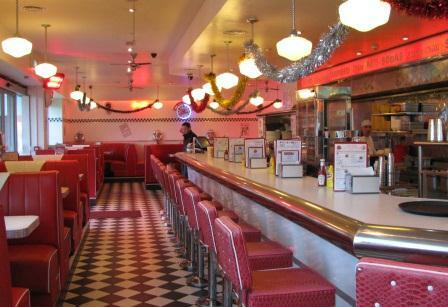 2	Eddie Rockets Eglington St & Wellpark Centre, American diner style, good value, freshly cooked food, spotlessly clean and friendly service. 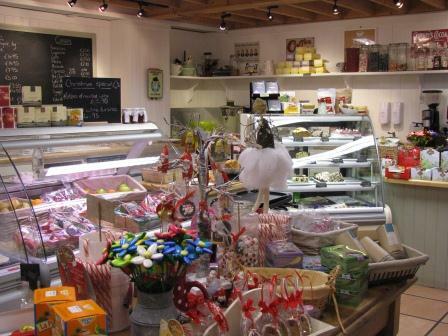 3 Grainstore Deli Abbeygate St Lower, really fresh deli-counter, gorgeous food displays with plenty of extra seating upstairs. 4 Harbour Hotel the Docks, handy parking, great lunch specials like roast lamb with sauteed vegatables & creamy mash potato in peaceful surroundings. 5 Kellys Pub Bridge St, all day brunches, power salads, dishy dishes and complimentary mini scone with your tea or coffee as well as an apple for later with your bill? 7 Riordans Quay St, all day full Irish breakfast, for a nation like us that marches on its stomach. 8 Spanish Arch Hotel Quay St, does a really good Irish stew and a seriously substantial chowder (they have added chorzio). 9 Tamarind Spanish Arch, great location if you are going to skive off for the afternoon? Thai restaurant specials include wok fried minted lamb for €10 or treat yourself to their combo platter for €2 more. 10 Vina Mara Middle St, all inclusive €10 lunches and great early bird evening menu, nice atmosphere, plenty of space and that rare treat nowadays, crisp white tablelinen!